2017 saw a total of 73 Drug Development IPOs across 15 global exchanges, compared to 58 IPOs in 2016. In total approximately $6.4B was raised, 1% up on 2016. The results are disappointing in the light of the fact that Global IPOs for all sectors experienced a significant upswing in 2017 ($141B, up 33% versus 2016). As a result of the increase in the number of companies debuting, there was a significant 19.7% reduction of the average deal size. This contrasts with the overall Global IPO market where the average deal size increased by 11.5%. 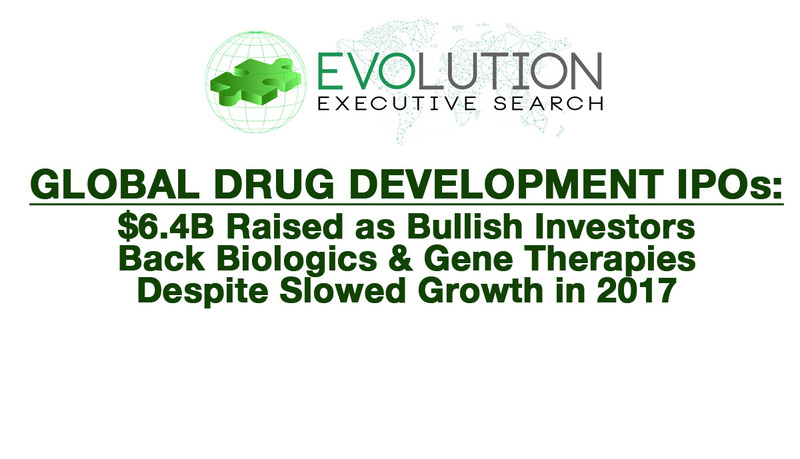 Evolution’s Global Therapeutic IPO Tracker has been updated with all drug development IPOs from 2012 until the end of 2017. In the last six years a total of 404 drug development companies have raised over $32.4B, with an average IPO value of $80.3M. 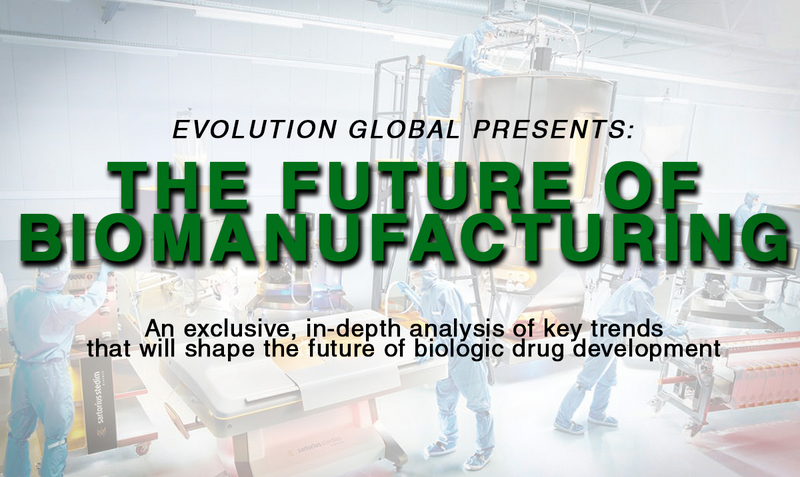 Analysis performed using Evolution’s fully interactive data visualisation highlights several key trends influencing investment into drug development companies, such as the continued rise of biologics, NASDAQ dominance and the impact of clinical trials progress. Q4 2017 saw a total of 19 IPOs across six global markets, raising over $1.975B with an average IPO value of $103.94M. The largest IPO came from San Francisco-based company Denali Therapeutics, which raised $250M to support its pipeline of drugs to treat neurodegenerative diseases. Belgian company Ablynx raised a total of $200M to continue the development of its pipeline drugs covering a wide range of diseases, including inflammation, haematology, respiratory and immune-oncology. A total of 12 companies floated on the American stock exchange, NASDAQ market during the final quarter of 2017, raising a total of $1.48B. Ablynx’s decision to list on the NASDAQ highlights the continuing trend of global companies choosing American markets over local exchanges, with German company Inflarx and French company Erytech Pharma following suit and raising $100M and $109M through the NASDAQ, respectively. Four companies IPO’d on European markets in Q4 2017, raising a total of $223M. The largest IPO was Danish company Orphazyme, which raised $94.2M on the NASDAQ OMX market to support its pipeline of treatment options for orphan protein misfolding diseases. 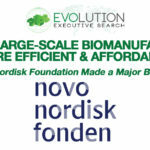 Bioarctic B, a Swedish company that focuses on treatments relating to the central nervous system such as Parkinson’s Disease, also IPO’d on the NASDAQ OMX market raising $74M. French companies Advicenne and Theranexus both debuted on the EURONEXT market, raising $31.83m and $22.79m respectively. Whilst several global companies elected to list on American exchanges, US cell therapy company TissueGene looked abroad for its IPO, successfully raising $178.91M through the KOSDAQ exchange. Tanvex BioPharma debuted on the Taiwan Stock Exchange, raising $54.8M to fund its pipeline of autoimmune, metabolic, endocrine and oncology drugs. Elsewhere in the Asia-Pacific region, oncology-focused Telix Pharma raised $38.3M on the Australian Securities Exchange market. 2017 saw a total of 73 Drug Development IPOs across 15 global exchanges, raising a combined $6.38B with an average IPO value of $87.4M. When compared to 2016 this represents a 26% increase in the frequency of IPOs, but only a 1% increase in the total amount of money raised. The results are disappointing in the light of the fact that Global IPOs for all sectors experienced a significant upswing in 2017 ($141B, up 33% versus 2016). Of the 73 drug development IPOs in 2017, 32 of the companies are developing Small Molecule therapeutics, followed by Biologics (23 IPOs), Drug Delivery / Devices (9 IPOs) and Gene Therapies (6 IPOs). 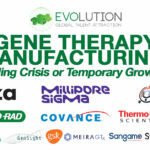 Historical analysis highlights that the majority of therapeutic companies that IPO’d between 2012 and 2017 were Small Molecule focused (185 companies), followed by Biologics (91 companies), Drug Delivery / Devices (54 companies) and Gene Therapies (24 companies). However, whilst companies focused on Small Molecules were the most common, they failed to generate as much capital as companies focused on Biologics and Gene Therapies. The average IPO value for companies focused on Biologics is $105.48M, followed by Gene Therapies ($85.39M) and Small Molecules ($77.54M), as shown in chart 2 below. Clinical Trials Analysis: Does the Development Phase of the Lead Product Candidate Influence IPO Investment? Chart 3 shows the average IPO value for companies with lead product candidates at different stages of the clinical trials process. Unsurprisingly, companies with a product on the market tend to raise the most funds ($198.2M), whilst companies whose lead product candidate is in preclinical development raised the least on average ($17.1M). Surprisingly there is very little variance between the average IPO amount raised when comparing companies with lead product candidates in phase 1 ($69.6M), phase 2 ($68.5M) and phase 3 ($72.0M) clinical development. This fact would suggest that valuations are not favouring companies in later stages. This obviously could be a consequence of multipipeline rNPV analysis and the value of the markets targeted, which leads to a levelling out. However, one would expect those at phase three to be higher. For the venture capital community, it is clear that investment in Biologics and Gene Therapy results in higher IPOs on average, and as a consequence potentially higher exit returns relative to Small Molecule Treatments. For therapeutic companies considering an IPO, 2017 was a poor year. The sector has still see the recovery now being experienced in the overall global IPO market. For Big Pharma, the acquirer of IPO’d companies usually later in their clinical development: if 2018 is similar to 2017, a number of companies will float and possibly be underfunded. This may offer opportunities to acquire at values less than several years ago. However, a consequence of underfunding may well result in a lack of clinical development progress, making such companies less attractive. Alternatively, the poor IPO prospects may reduce the number of companies available for M&A via the markets.